I would like to consider myself to be a hat person. help but pick this one up at Old Navy since it was so inexpensive! These photos were obviously taken before our surprisingly SNOW storm the other day. It's hard to believe it went from 27 and sunny to -1 and snowing. If you follow me on Instagram you can see the lovely photo I took right outside my house. I'm just not ready for winter, it will thankfully go away by the end of this week and be in the high 20's again. These Alberta seasons are killing me! Do you have any good tips on wearing hats without looking over the top? I'd love to know! I feel the same way about hats...but the more I wear them, the more I feel like I can pull them off. I can't believe your weather out there. Talk about crazy! How on earth do you manage to get dressed in the morning when the temperature ranges so much?!?! 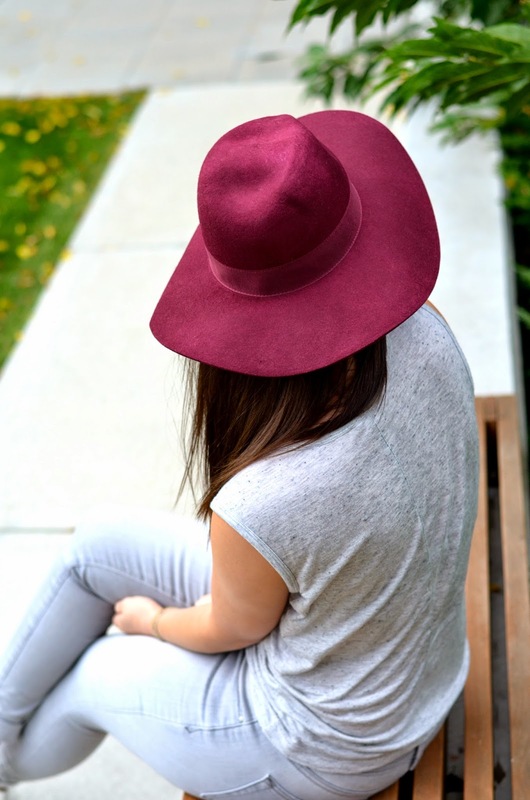 perfect color hat for Fall!